What is a Jump rope? How to use Jump ropes at Home? It is easy to brush-off jumping rope as a pastime activity for little kids. The reality is that jumping rope is one of the simplest, fun exercises that not only relaxes the body but also offers several health benefits. Devoting a few minutes of one’s workout schedule to skipping rope can go a long way into sculpting one’s entire body. Read on to discover the immeasurable benefits you can accrue from this common sporting exercise. What Is A Jump Rope? How Much Skipping Is Equivalent To Running? A jump rope, also known as a skipping rope is a long rope normally used as a sports tool where one or more participants hop around it as it’s swung over their head and beneath the feet. At each end of the rope are comfortable handles that users can hold. Single freestyle jumping ropes are the most common. These are long enough to go over the user’s head and under the feet as they are rotated. Individual ropes are used in different body fitness classes. They are said to help in body toning and burning calories. Some research results have shown that skipping rope for one hour burns around 720 calories. This was based on about 110-150 turns per minute. It could vary depending on speed, height, rope type and weight. Jumping rope is said to improve strength while boosting one’s coordination. Jumping rope is not only known to exert the calves but also provide workout on the quadriceps, glute and hamstring muscles. Constant rope skipping has been known to increase ones running speed. It is also said to strengthen the legs and knees. Skipping rope engages most body muscles; the arms, legs and the shoulders. This is a total workout that is thought to be more efficient than running or jogging. For one to lose weight, more calories have to be lost than they are taken in. Calories are burnt through workouts. Ideally, a combination of calorie intake reduction and increased workout should help reduce weight. Add other exercises like crunches, sit ups and squatting in the 10 minute rope jump routine. Ideally, the more the muscles that are involved, the higher the number of calories that are burnt and the higher the weight that can be lost. In order to lose weight and keep it that way, one needs to jump rope and make healthy dietary adjustments as well. For instance, in order to get rid of 1 pound of fat per week, one could jump rope for 30 minutes. This will burn around 200 calories. Users should then reduce calorie intake to below 300 per day. Besides reducing the calorie intake and jumping rope, it’s prudent to include foods rich in nutrients in the daily meals. These are mainly vegetables, fruits, whole grains and milk products. Jumping rope might be easy but it helps the body in a big way. It is a fun sport activity that engages both the lower and upper body. When skipping rope, the arm and shoulder muscles are called into action. So do the wrists and hands. Jumping variations also engage the back and chest area. Since jumping rope is viewed as an aerobic exercise, it is said to give the cardiovascular system a great workout. Nearly all muscles in the legs are involved in a jump rope session. Each revolution engages the tensor muscles (thigh muscles). It also strengthens the core muscles. As seen earlier, jumping rope even for a short time helps strengthen muscles and burn calories. One indicator that skipping rope provides workout for the abs is the burning sensation that one feels a few minutes after jumping rope. This healthy burn can be experienced immediately or a few hours later. Beginners are advised to try the above variations one by one. Health experts recommend body movements in all possible ways. You have possibly heard them advise on the use of the stairs as opposed to elevators among others. Moving the body has an array of health advantages including skin benefits! 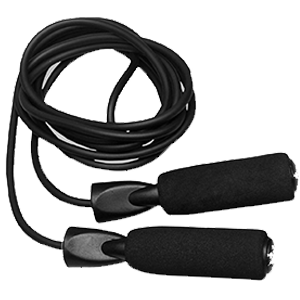 Skipping rope helps in elimination of toxins by aiding lymphatic system activities. The lymphatic system is tasked with removing all kinds of waste and toxic materials from the blood. Skipping rope helps in expansion and contraction of body muscles. This movement is critical for the functioning of the lymphatic muscles. The hands become worn out first while skipping. A Lightweight rope is the best jump rope to buy. This will reduce the chances of the arms getting fatigued. For the usual jump ropes, any rope will do just fine. For serious workout targets like double Dutch, one might be required to invest in one of the best skipping rope. A good jump rope should have a credibility including being used at different levels of competition. Skipping ropes are relatively affordable. Ropes that have extra accessories like CrossFit jump ropes cost a little bit more but most of these are long lasting and will normally come with a warranty. Basic ropes are the best jump rope for beginners. Jump ropes that are too long tend to slow down the user. Short ones are hard and dangerous to use as they cause tripping. A good jump rope should be easy to adjust according to user need. In many cases, jump ropes will last a number of years without wearing out. However, if anything happens before the expiry of the warranty, users can ask for replacements or repairs from the manufacturers. Most top jump ropes manufacturers will offer a warranty upon purchase. Make sure to check up with the authorized dealers to ensure you are eligible for this. Beginners are advised to purchase PVC ropes for starters. These are lightweight and jumpers can feel the exact location of the rope as it oscillates around. It helps them regulate their rhythms. Jump ropes come in various types. Nylon is lightweight and so are nylon jump ropes. They are mostly used by adults who are in health benefit workout classes. They are very lightweight and are specially designed as speed jump ropes. They are mostly found in gyms. These are designed for team plays. They are long and come in doubles. These are customary made for children. They can be made of nylon, leather or beads. They are short and available in all colors. 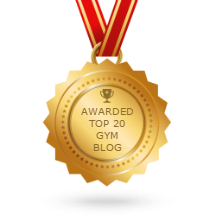 The following is an overview of the best-selling jump rope reviews. The manufactures of this skip rope pride themselves in the durability of king athletic jump rope. It is made from pure leather and is fitted with high speed ball bearings which ensure smooth revolutions. It has adjusting options; this means users can easily adjust it to their desired lengths. Many people find the standard length of 9 feet comfortable. 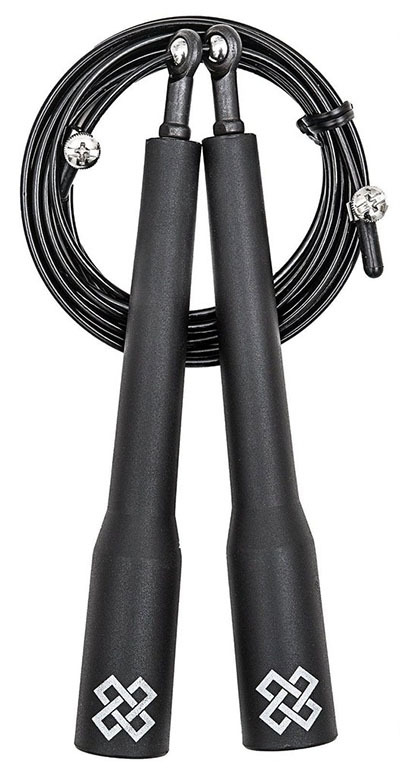 King athletic jump rope comes packed with an e-book which equips users with techniques for use. This product has a guarantee in providing quality consumer satisfaction. WODfitters jump rope comes with a custom made storage bag. It is said to be perfect for both newbies and professional skippers. It comes backed up with a lifetime warranty which is a bonus. It not only assures consumer satisfaction but one is also guaranteed replacement in case it breaks down. This rope is famed to be one of the best in crossfit, best jump rope for beginners, and home based workouts. 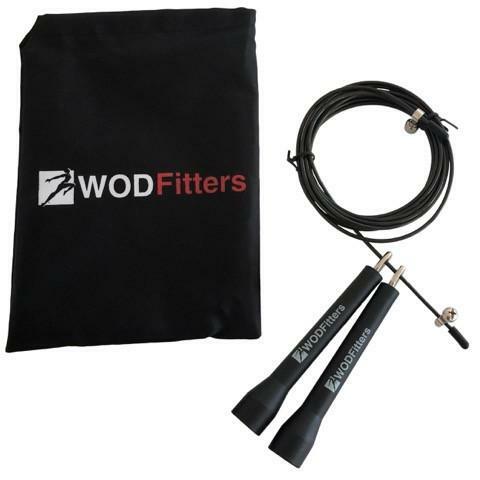 With an approval rate of above 80%, users rave this as one to be the best jump rope for double unders and triple unders. It has a smooth texture and its light in weight. 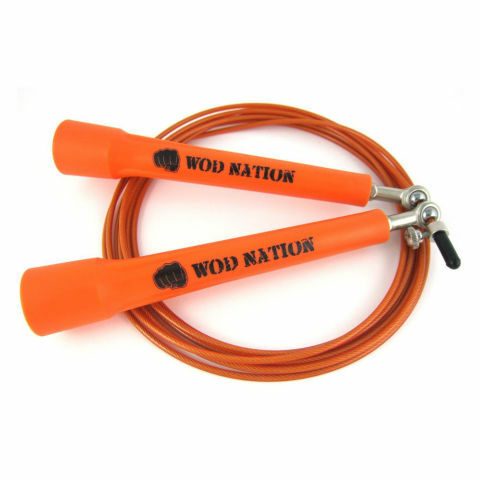 Wod nation jump rope comes with an extra rope and the necessary items for screwing. Like WODFitters jump rope, this too comes with a lifetime warranty and a 100% customer satisfaction guarantee. The packaging of Crux gear rope makes it one of the best athletic jump rope. This jumping rope is famed as a versatile CrossFit rope. Its ball bearing system ensures smooth spinning. It is lightweight (3.4 oz.). It is fitted with aluminum handles with ball bearings at each end. The double bearings give it a balanced feel. This rope comes with a two year warranty. On the flip side, some users say the handles become slick when in contact with sweat. RX jump rope is referred to as ‘heavy weight’ CrossFit jump rope. It comes fitted with extra-large handles-1 inch diameter and 6 inches long. It weighs 6 oz. The jumping cable comes in various weights. Its major drawback is that its rope length is not adjustable. It’s also made from vinyl coated cables which are not durable. Manufacturers of Sonic boom ropes claim that these ropes are specially designed for high speed. Many users too claim that they are the best speed ropes. Though it offers a lifetime warranty, sonic boom rope does not come with any accessories but it’s still considered good for professional or individual uses. Try jumping rope while listening to your favorite music. One can do this by choosing longer songs and trying to jump along until the song is over. The average length of a jump rope is 9 feet. This can be shortened according to preference. Rope skipping is best done on a soft ground such as on grass. As earlier mentioned, include tricks and variations in your jumping. It not only makes rope jumping exciting but also helps burn more calories. Don’t skip bare foot. One could accidentally hit the feet and it can be painful. Being an aerobic exercise, jumping rope needs users to be cautious. Beginners are advised to consult with their health advisers on their body’s ability to withstand rope jumping. Just like in other exercises, users should warm up before taking on skipping. Physical education experts insist on standing on the toes while skipping. They have a firm supportive surface. This helps protect the feet and ankles from the repetitive jumping motions. Exercise experts recommend cross-trainers for rope jumping and other aerobic exercises. This type of shoe is said to provide protection for the ankles, hips and the back. Brooks transcend are highly adaptive to strides and weight. They are specially designed for sports activities that need extra padding. These have a wide toe area. This allows users to spread the toes properly and thus they can easily jump on their toes. They are available for both men and women. These are lightweight thus rope jumpers have nothing wearing them down. It’s relatively easy to add speed while skipping with these shoes on. These are fitted with enough cushioning to make the feet feel comfortable. They are available for men and women. These shoes are extremely lightweight. They have a rubber outer sole which is perfect for most grounds. These shoes are designed to fit securely and are a great option for various types of workouts. The more the techniques that are applied on rope jumping, the greater the end results. Over the past years, users have discovered different ways through which they can make rope jumping interesting. This is the most common and the easiest. It involves jumping over the rope with both feet on each rotation while swinging the rope forward. This is more or less like the forward jump. Only that it involves swinging the rope backwards. This involves jumping a few inches towards the left side as one swings the rope, then to the left. It involves jumping on one foot, starting with the left or right foot in alternating manner back and forth. As the name suggests, this involves crossing the feet over each other in alternation as one skips rope. On this one, users jump quite high such that they can pass the rope two times under their feet. Many people miss a few times on this one but it can be achieved with practice. Jumping rope is fun and has a whole lot of benefits as seen above. Go on, get a skipping rope and start jumping today!